Sony’s intended take over of EMI Music Publishing has been notified to the European Commission, who now has until the 26th of October to make an initial assessment. Precedents set by the Commission in 2012, when it ruled that divestments were required for Sony to become a minority shareholder, suggest that Sony’s attempt to take over EMI completely will be met with stiff opposition and a detailed Phase 2 investigation. Sony’s attempt to take over EMI would mean its catalogue would nearly double, from 2.16m to 4.21m compositions. In addition, Sony would have a huge pool of writers with rights in more songs than any other company, including songs Sony doesn’t own 100%. No company would control so much music, making Sony the most powerful major in the market today. IMPALA already submitted concerns to the European Commission last month about the power of Sony if this deal were cleared. The digital market is one of the likely areas of concern as Sony would significantly increase its power as an indispensable business partner globally for popular streaming services like Spotify, Deezer and also platforms like YouTube who face a new licensing regime in Europe following a key vote on copyright earlier this month in the European Parliament. "The only solution is to block the deal now,” concluded Helen Smith. "This is necessary to avoid long term harm for consumers as well as other players in the music sector, from writers to streaming services, independent publishers, collecting societies and record companies. It also goes against key European objectives in terms of cultural diversity and SMEs and cuts across the EU's digital single market strategy." The transaction will be examined taking on board the views of competitors and customers, with the procedure setting out strict deadlines. From the moment a transaction is notified, the Commission generally has 25 working days to decide whether to grant approval (Phase I) or to start an in-depth investigation (Phase II). Helen Smith commented: “Sony's expansion strategy will now be properly examined. The EC is likely to look not just at this latest deal, but the series of transactions together, just like a new merger." IMPALA was established in April 2000 to represent European independent music companies operating in both the recorded music and music publishing businesses. 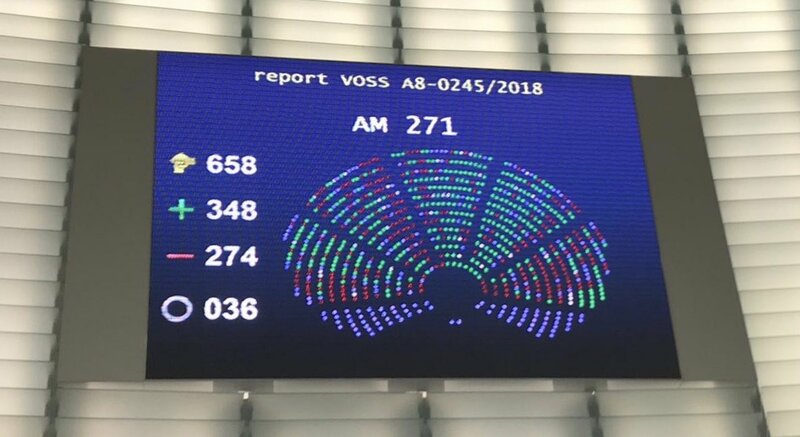 One of IMPALA's missions is to keep the music market as open and competitive as possible and it was instrumental in securing a key vote on copyright and platforms in the European Parliament recently. IMPALA has an impressive record in competition cases in the music sector. The first EMI/Warner merger was withdrawn in 2001 following objections from the EU after IMPALA intervened, in its first year of existence. It also won a landmark judgment in 2006 in the Sony/BMG case, and when Sony acquired 30% of EMI publishing in 2012, it was at the cost of significant divestments. The biggest set of remedies proportionately ever in a merger case was secured later that year, when UMG was forced to sell two thirds of EMI records and had to accept ten years of scrutiny over the terms of its digital deals. When WMG bought Parlophone in 2013, IMPALA secured a hefty divestments package for its members. On top of mergers, IMPALA has also been involved in other anti-trust cases involving the music sector, such as the abuse complaint against YouTube in 2014 and the call for regulating unfair business practices by large online players. See the organisation's other key achievements in IMPALA's milestones.